By Libby Showalter, M.S., L.D., R.D. Libby Showalter, M.S., R.D., L.D., is a Registered Dietitian who earned a master's degree in nutrition from Case Western Reserve University. She is a Registered Dietitian for the YMCA of Greater Cleveland (THRIVE! Partner), as well as for THRIVE!. People who live in northern climates are more at risk to be deficient in vitamin D, especially in winter months. 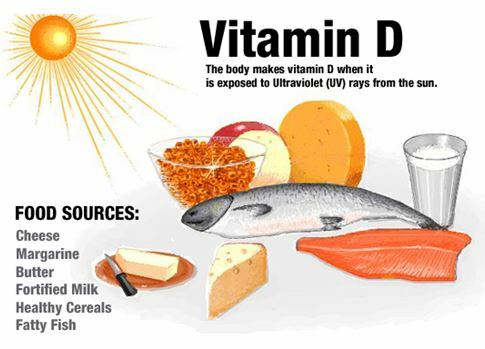 Vitamin D is a nutrient that helps maintain strong bones and teeth. It helps the body absorb calcium and phosphorus. Muscles need it to move and it also keeps the immune system healthy. Because vitamin D deficiency is linked with these and possibly other diseases, it is vital to maintain adequate levels of this vitamin. The amount of vitamin D that we need each day is typically based on age. The recommended amounts are listed in International Units (IU). A simple blood test can be used to determine if you have adequate vitamin D levels. Your doctor might suggest that you take a vitamin D supplement.